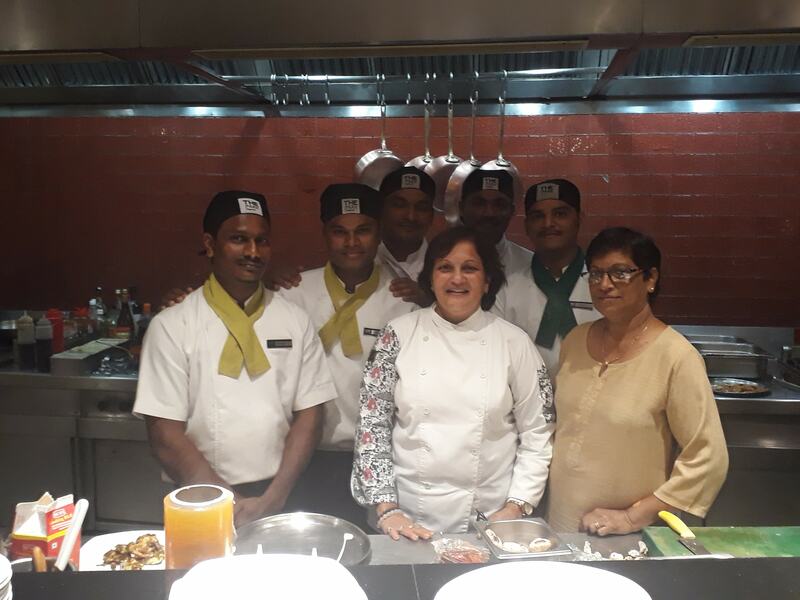 She runs a catering company and travels all over India to conduct food festivals in five star hotels. She has been in the business for over 22 years and brings with her a lot of hands on experience. With no background in hospitality education, her circumstances made her what she is today – a Celebrity Chef. Recently she was invited at the Indian embassy in Spain by Mr. Sanjay Verma, Ambassador of India to Spain. 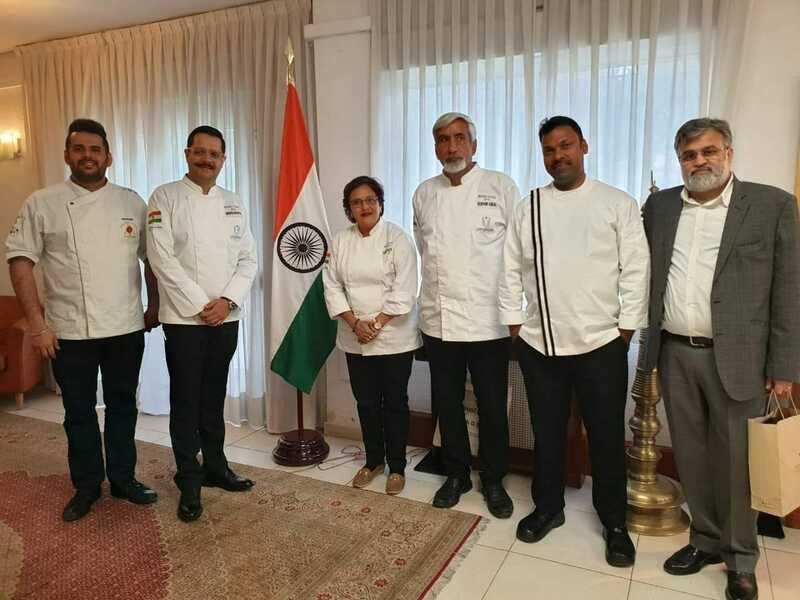 She was a part of the chef delegation that was there to showcase our culinary heritage and also attend various lectures and workshops. A lot has been written about her food festivals and also her inspirational journey. She features regularly in newspaper articles and contributes through her culinary articles and recipes’. She has also done cookery shows on television. 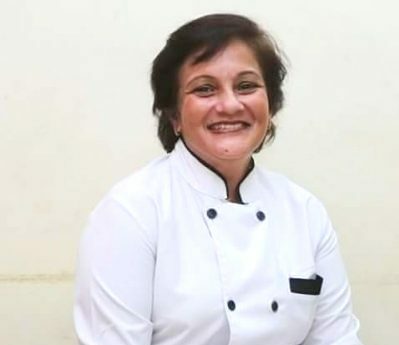 I spoke to Chef Sarita Chavan over the phone and learnt so much about her and her pursuit to find a foothold in an industry that she didn’t know much about. I feel privileged to listen to her and I am so thankful to her for sharing various aspects of her personal and professional life. It touched me deeply and I am sure all the readers will go through that very emotion upon reading a few snippets of her life. 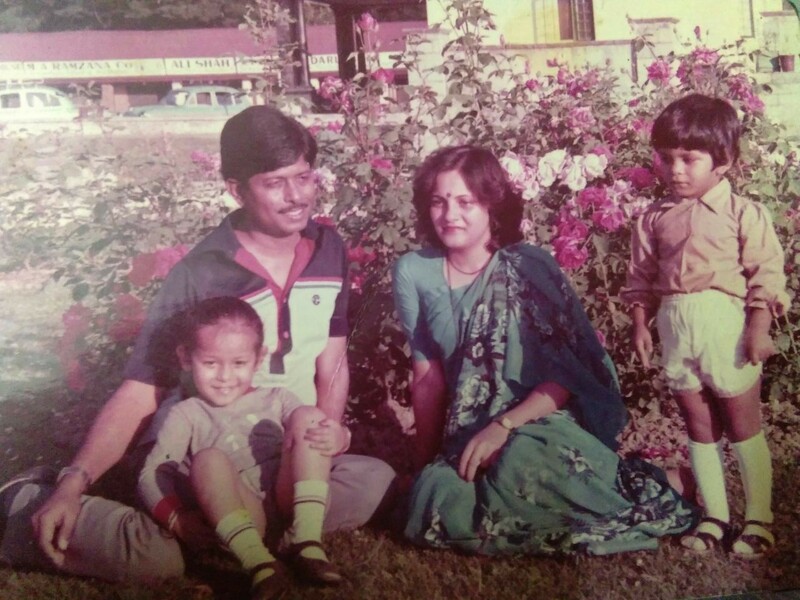 She was born in Kolhapur and lived with her parents and two elder brothers. Being the only girl child in the house she was looked after like a princess. Everything was special for her even the basmati rice that she liked was brought from Delhi. Her parents and the entire family was so protective about her that even her ears were not pierced with the thought of it causing her pain. Her father was a freedom fighter which made her go to the border and cook for the Jawans. She feels that the job of creating delectable food was in her blood. She did her schooling from Vikram High School, Kolhapur and did her college years from Shivaji University Kolhapur. During college days, she says many students used to be waiting near her house that kind of scared her. Her brothers took it upon them to pick and drop her from home and college. Finally they got fed of every day extra work that she was married quite young. She got married to Mr. Ajit Chavan in 1979 and moved to Goa. Her husband was patient enough to teach her everything from small to even much bigger and important things. She had to learn English on a priority basis as living in Goa meant knowing the language. Having learnt only in Marathi medium she had to start from the very basic – learning alphabets and then gradually moving from one class textbook to the other. Her father in law was a teacher and he ensured that she learnt. Her husband got books for her to read and that was her ground for learning the worldly matters. She adds that, her in laws also were excellent human beings so she could go through any storm with positivity. Today she is at the top of her game without any background in culinary education only with hard work, faith in self and God and her determination to succeed. Her husband brought different cook books and made her try out the dishes. She learnt many cuisines such as Goan, Punjabi, Continental etc and constantly followed recipes so that she could perfect them. She never knew that this very art was going to be the survival strategy for her family; the means of livelihood for them. She was 18 years younger than her husband and she minces no words in saying she was probably married to him as he was rich. But she didn’t really know his finances as everything was available and there was no need for her to. But he fell ill, she went to the bank and was shocked as there was a balance of only Rs 100 in his account. She sold her manglsutra for Rs. 7500 to look after her 3 children and ill husband. She had to do something and started selling homemade masalas door to door. Though it was not required as both sides of her families were well to do and they said they’d help. But she told them that she wanted to try doing something on her own so that she doesn’t give a wrong impression to her children that everything was available on the table. She got into industrial catering and supplied food to various offices for over 10 years. She says that the almighty was with her and she proved that if you trust your guts you will succeed. Her husband was bedridden for 8 years and passed away 17 years ago. She brought up her children on her own and all of them are well settled. Her grandchild is 12 years old. She is felicitated numerous times by the Goa government and many other organisations. She is also invited to address women and young entrepreneurs. Having been there and done that, she is the best role model. She was invited by the Goa Chamber of Commerce at the ‘I Create’ event where she addressed 500 ladies on empowerment and creating self worth through entrepreneurship. “Don’t live on sympathetic grounds, develop your skills and competencies and create your own niche”. She says that she has never faced any issues or problems in this male dominated industry. She believes in keeping one’s self respect as well as treating others with respect. That has been her motto and she has lived by that. When asked about her food choices she says that, she detests junk food and Puneri veg thali is her personal favourite. 2014- 10th March – Mahila Kala Sauskritik Manch – Enterprising Woman of the year. 2015- Selected among 200 Chefs from all over the World for a Culinary Conference at Maurya Sheraton Delhi. 2015- Orchid Award in Business Category. 2016- Bicholim Mahila Mandal Award in Business Category. 2016 – Was selected among 17 ladies from Goa for their special book on successful Women which was launched on 8 th March 2016. Conducts Cookery Shows in Maharashtra, Goa and Tamil Nadu on TV Channels. Invited to conduct Indian Food Festival all over India as well as abroad as a Celebrity Chef. Conducted Cookery shows on TV 9 and Colours Guajarati Channel. Felicitated on 12th March 2017 by Siolim Mahila Manch. Holding the Post of General Secretary for International Human Rights Association – Goa Chapter. Doing social work for GOONJ. Helping as Development Officer for NGO Hemophilic.